Unlike me, my friend Colin makes time to pamper his plants, and treats his tree ferns royally all year round. This means dutifully bringing the ferns into the house for winter (Colin is not the owner of a greenhouse-yet!) . As you can see (above), his care is rewarded with stunning, healthy looking plants. As he is so wise (and caring), I’ve asked him to write a guest blog about his recent trip to Cornwall, where tender (and would- be -demanding) plants abound. Do read on…. Having driven down to Cornwall for a camping and garden visit holiday, I was amazed at how a few degrees of extra warmth from the Gulf Stream allows one to grow such an amazingly different range of plants. Though I live in London (and its heat blanket) it still gets much colder here than Cornwall does. At the Lost Gardens of Heligan the lowest temperature they have recorded in 25 years -6, and that was only one night. Their average low is 0 degrees, even in the depths of winter. London has regularly been down to -5 for the last for years, and outside London it’s been much colder. But that said, it’s worth having a go with some of these unusual looking, and amazing plants even if you live in cold parts of the country, as the results can be spectacular. If you’re looking for something different for your garden, and love to try pushing the limits with what you can grow, I would recommend the three plant types below. 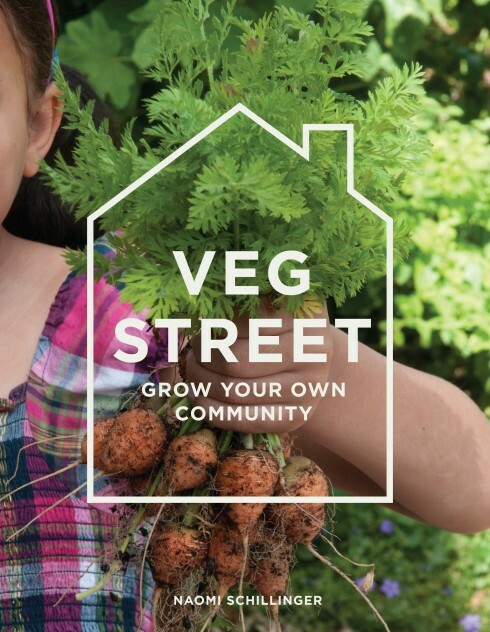 I grow all 3 in London, and with a bit of care and luck you’ll get some good results too! These stunning plants produce the most amazing flowers, and have beautiful foliage and are worth a go! Generally in the UK it’s advisable to bring them into a greenhouse or covered patio during the winter, but this does depend where you live. There are hundreds of types, so make sure you get detailed growing instructions when you buy. 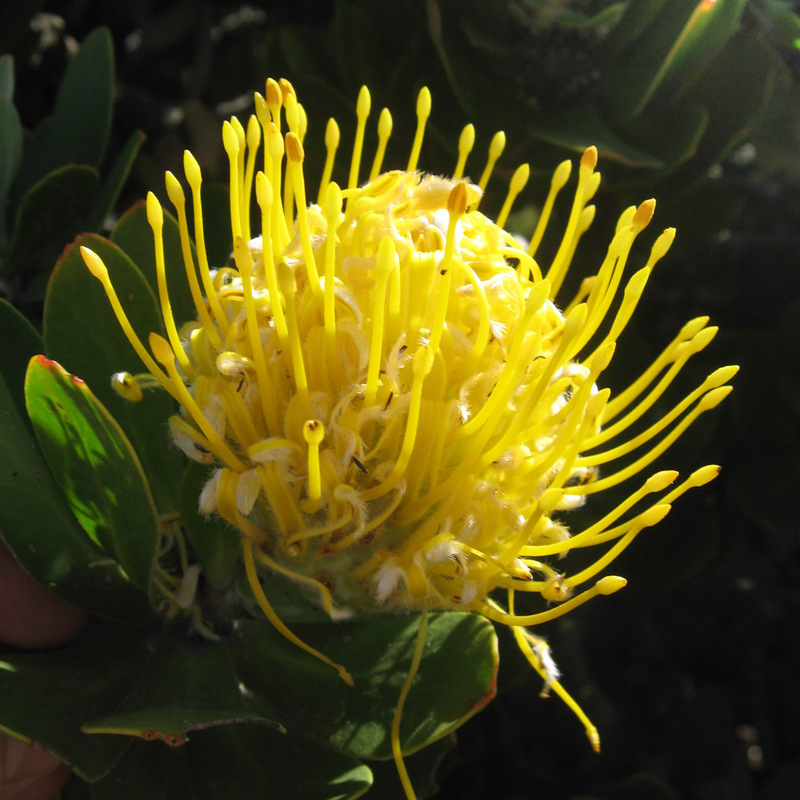 Image 3) Protea growing in someone’s garden – thanks unknown gardener! Requires loamy soil, well drained, course sandy feel. 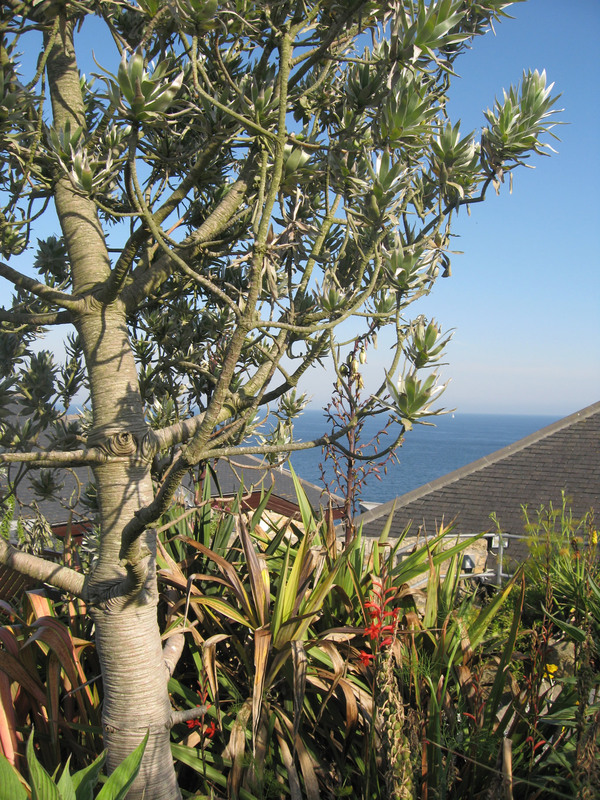 Wind tolerant, not so tolerant of salty conditions (though the Silver Tree, Leucadendron argenteum is a bit more tolerant of wind and salt. 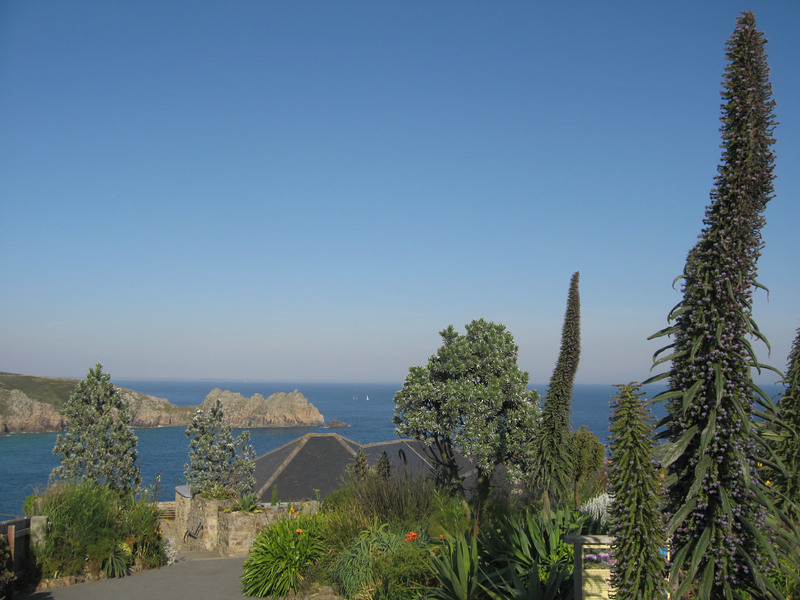 Minak Theatre has some stunning examples of the Silver Tree, considered to be one of the most beautiful Foliage trees in the world, growing right on the edge of the sea facing cliff). Watering: depends on the species, but none like to live in very damp conditions, and do not like wet feet. 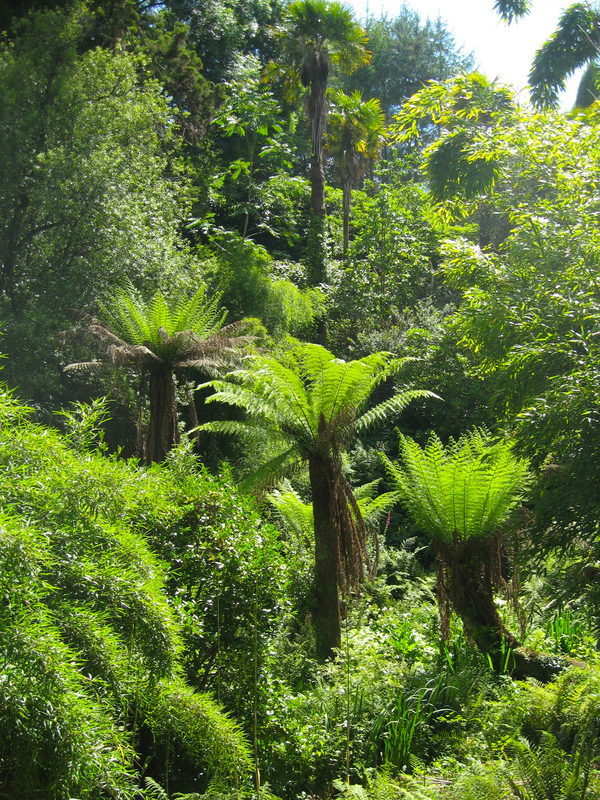 There are many types of tree fern, but the most common one in the UK is Dicksonia Antarctica. 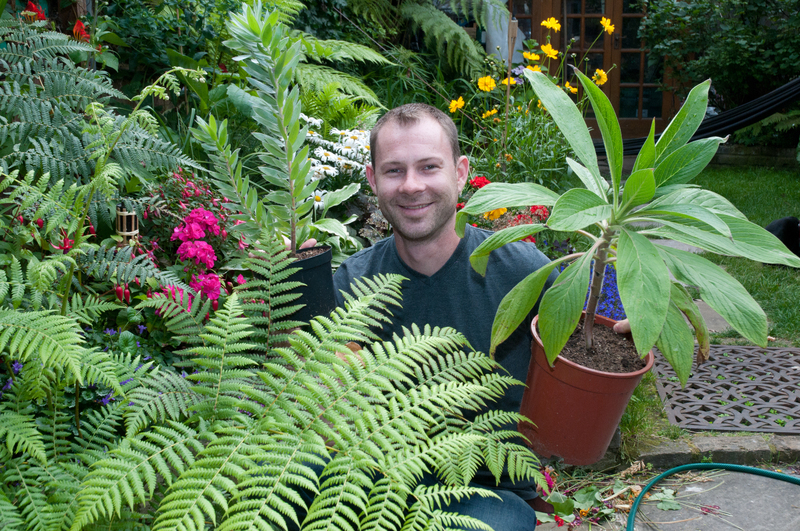 Others considered OK to grow in the UK outdoors are Dicksonia Fibrosa, and Cyathea Australis. As the name Dicksonia Antarctica suggests, this tree fern grows in colder conditions, and can tolerate temps of -10 for a short time. It is advisable to wrap the trunk and the crown in fleece, or to create a cage of chicken wire and stuff it with leaves. If the crown dies / dries out, the whole plant is dead! The Lost Gardens of Heligan have huge specimens growing in their jungle valley that were abandoned for over 50 years, and are still growing fine, without any protection at all. 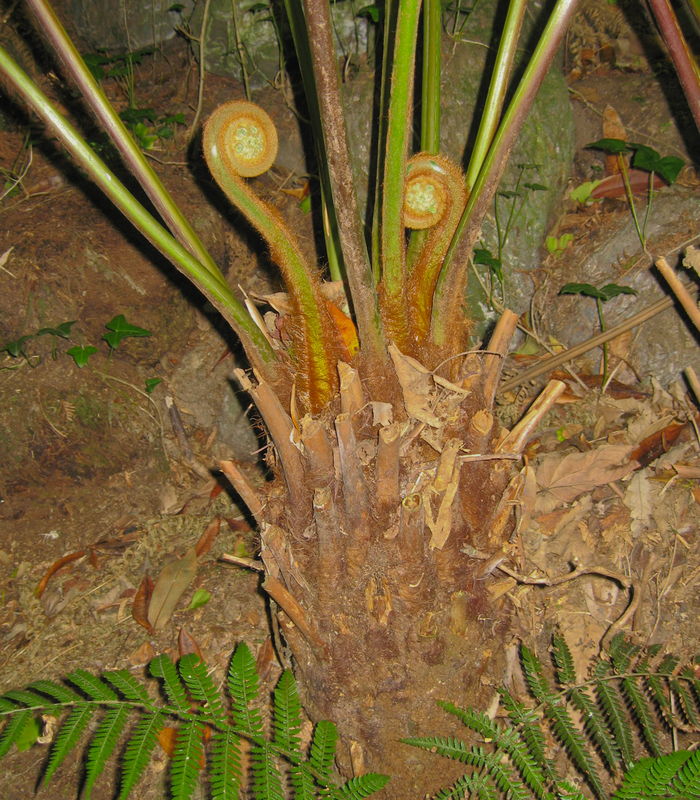 Image 3) though not a true tree fern as it does not form a substantial trunk, Blechnum Chilense grows to approx. 5 foot tall, is totally hardy in the UK, and has much of the grace and delicacy of a true tree fern. It also spreads easily forming a fern grove rather quickly. Requires humus-rich, neutral to slightly acid soil. Not so wind tolerant as these are undergrowth plants, and not very salt tolerant. Watering: must be kept damp at all times. This is critical. 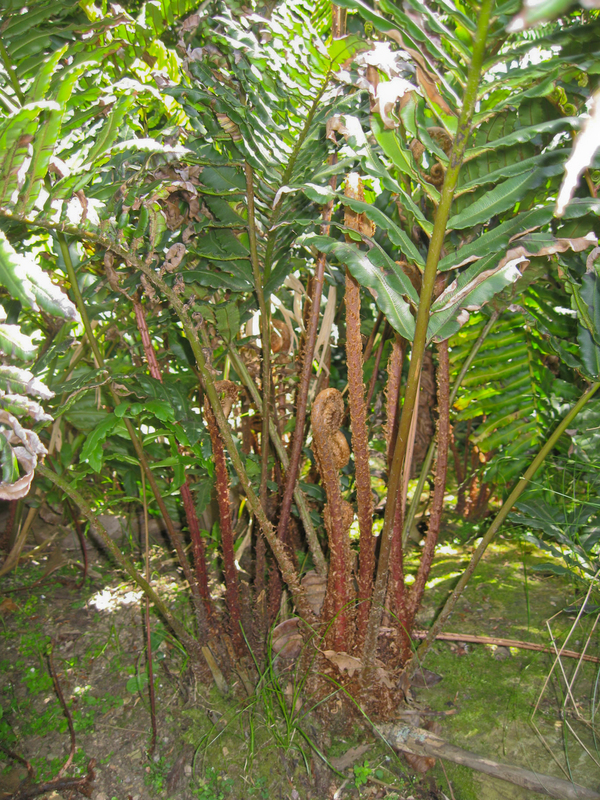 Tree ferns will die if the whole plant, especially the trunk is not kept damp. I water mine on a daily basis, watering the crown, trunk and soil. This said, they do not like to sit in water, so make sure you have well-drained soil. Considered to be semi-hardy / hardy, depending on the type. I always wrap mine for the winter, and have not suffered a loss yet. This amazing group of plants sends up the most spectacular flower spikes of almost any plant out there! Some types are perennial, but most are biennial. These plants in their first year are not particularly pretty or large, but in their second year they send up a 3-5 meter flower spike, covered in intense small blue flowers. This is an amazing show plant, and stops everyone in their tracks when in flower. Most people grow Echium Pininana though recently perennial varieties from the Canary Islands have been on sale at many garden centers. The best examples I Found were at the Minak Theater, however, they were also growing all around St. Ives, and in people’s gardens. They appear to self seed without problem there, but in the rest of the UK you will need to grow from seed on a yearly basis. Image 1 / 2) Echium Pininana at Minack Theatre. 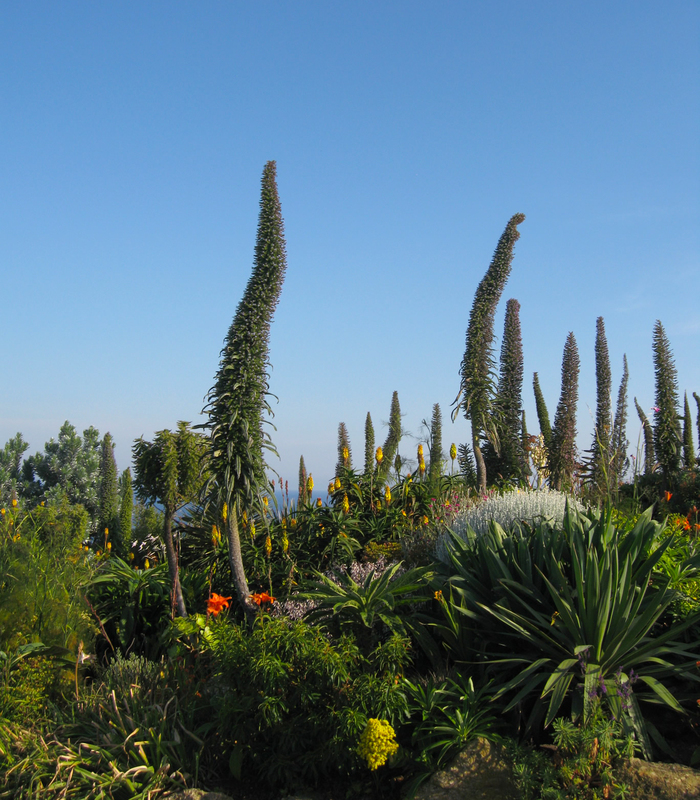 The silver tree in image 2 is over 4 meters tall, and the Echium Pininana towers over it. Tolerant of many soil types, and can self seed almost anywhere. The better the soil, the better the flower spike. Wind tolerant (bearing in mind it can grow to 5 meters tall, so heavy winds can uproot it) and salt tolerant. p.s. from Naomi-If you’re heading down to Cornwall, I’d also strongly recommend going to the Lamorran House Gardens in St.Mawes, only open Wednesdays and Friday, 10-5p.m. and Trebah Gardens near Falmouth. All of the plants Colin has written about are available from the amazing Trevena Cross Nursery in Helston,and can be sent by mail order too!! If you’re driving down, two other gardens/nurseries spring to mind. Bosvigo Gardens is a small privately owned house and garden in Truro with roughly 8 distinct areas to visit. 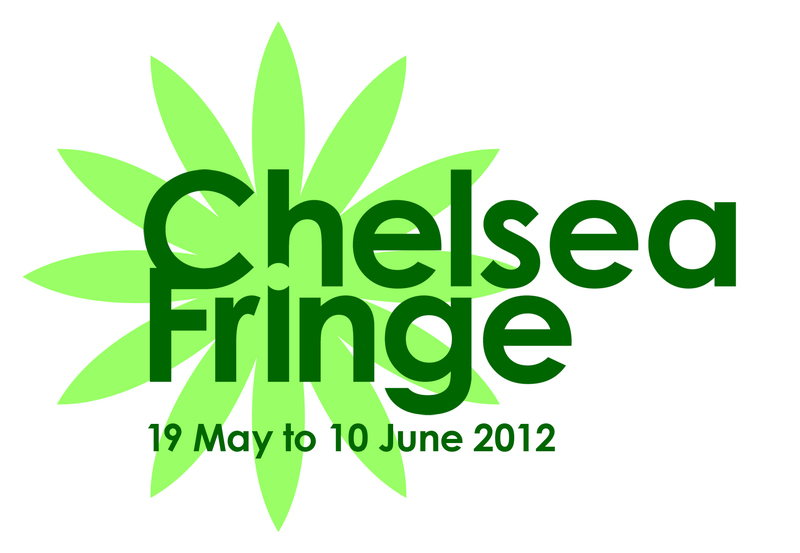 It’s a true delight, and they also have a great nursery area offering plants for sale that you have seen in the garden. And on the way back , plan your route to call in on Pine Cottage Plants in Eggesford in Devon.This nursery specialises in Agapanthus, so leave space in the car for a few more plants here too. Again, plants can be bought online, but I’d highly recommend a visit to see a myriad of varieties of this beautiful perennial-you won’t be disappointed! Many other Cornish gardens to visit are on the Gardens of Cornwall website, and I must say that the Potager Garden in Constantine, near Falmouth, open Fridays, Saturdays and Sundays, has caught my eye-feel a Cornwall trip coming on! Only been on one major gardening trip down to Cornwall, probably about 15 years ago, and was stunned, like you, by the lushness of it all. Didn’t make it to Heligan, but did go to Trebah near Falmouth (lots of tree ferns and a huge Gunnera area where you can walk under the huge leaves) and my favourite was a small(ish) private garden called Lamorran House Gardens, perched on a Cliff in St.Mawes-a true gem of a garden, packed with amazing (and mostly new to me then) semi-hardy plants. Only open Wed and Friday10-5pm if you’re planning a visit though. Also wowed by the nurseries and almost suffered from brain fever as I was so excited by the plants which were so readily available and at such reasonable prices. The trick is the care you give these plants once you get them home, and I must admit, despite packing the car to resemble a jungle on the way home, I have few survivors from this trip. I’m enthused again by the sight of the Echium, and despite our last 2 winters, may well give this amazing plant just one more go!! Fab blog. Thanks so much Colin!! Great blog, Colin! When are you starting your own?? I went to Heligan earlier in the year and loved it. I hope you can fit all your lovely plants into your new garden! Memories of Heligan a few years back. I have a few echiums pininanas in pots for planting out next year. I’ve grown them from seed (request from the under gardener) we may be too far north for them…. We also have tree ferns and Melos thus major. Both cope with protection over the winter. Very informative blog, Colin, thanks. 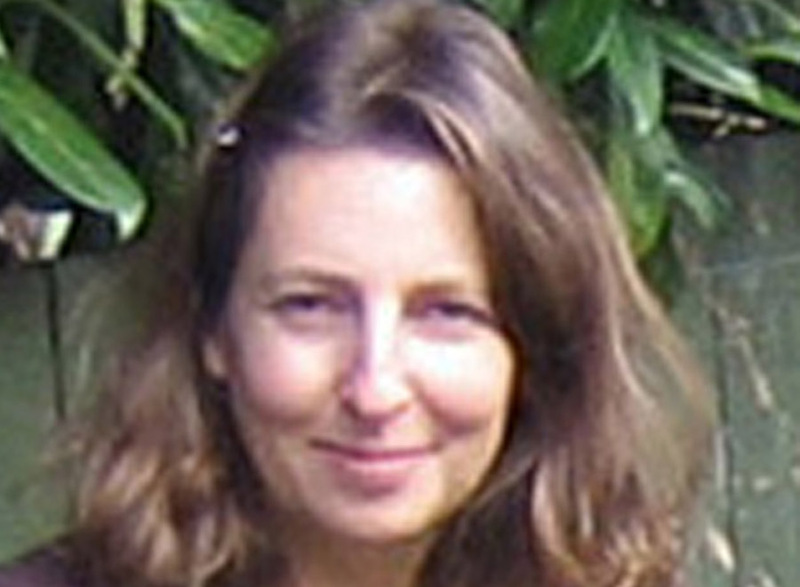 Makes me want to see the Lost Gardens of Heligan – and your London garden. I got out to the Isles of Scilly last year, the Abbey Gardens there are pretty incredible too (http://www.tresco.co.uk/what-to-do/abbey-garden/default.aspx). Thanks for the great messages and comments. I’ll have to go down and take a look at the nurseries suggested once I’ve moved into my new house – was avoiding them (very difficult indeed!) as I move at the end of this month. It’s bit of a pain to transplant at this time of year, but at least it’s a larger garden . Would also love to go to the Isles of Scilly – ran out of time, but it’s on my list for my next visit. 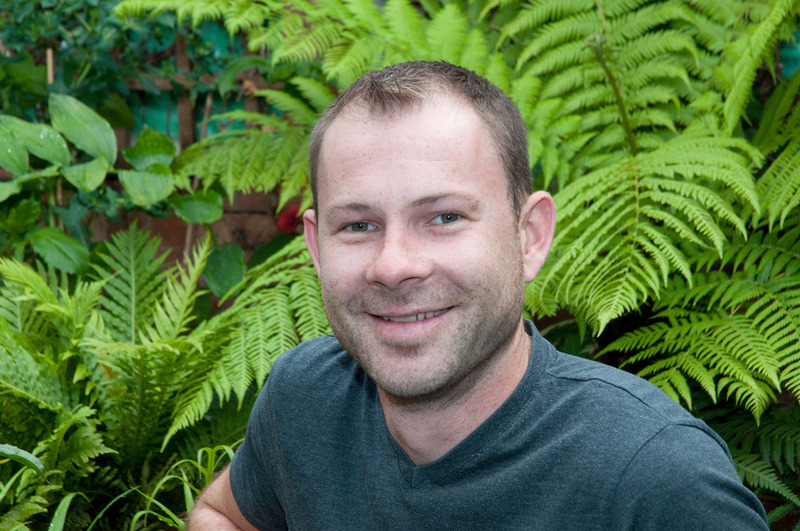 Hopefully start my own Gardening site / blog up soon ( watch out for ‘The Curious Gardener’ !) but I actually run a gaming and gadget website (www.CoBotech.co.uk) so it will be when time permits! My echoing which has survived for several years in south Warwickshire grew to about 12 foot. Then produced others. When it bent over due to weight we cut the main stem leaving the other smaller one to grow this summer. My partner thinks we should cut it off too, and others will come up but I’m not so sure?!!! Any advice please?